A coat of chalkboard paint on the wall adds a fun and useful accent to any room in the house, from a spot to scribble in kids' rooms to a keeper of to-do lists in the kitchen. In December 2007, Nicolette de Waart, her husband, Joost Dop, and their four children moved from Heemstede, the Netherlands, to Singapore. 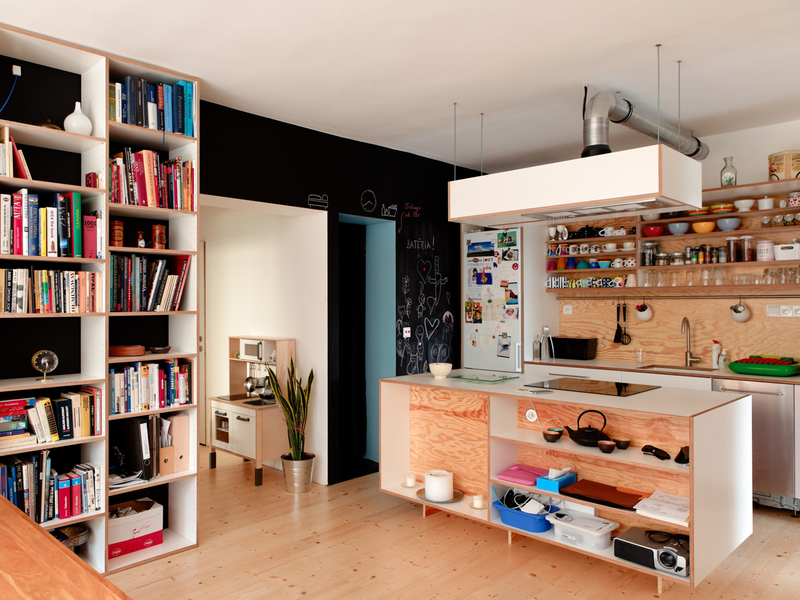 De Waart founded an interior design business and made over their own home first—including adding a chalkboard to the kitchen for writing memos and for drawing, as Tammo does here. Photo by Jasper James. With two quick and cheap coats of chalkboard paint, Margaret Oomen transformed a standard pegboard panel into a customized domestic exhibition space. Her spoon collection made its debut—“I love the contrast of the warm golden woods against the black”—but she plans on rotating the displays. “I’d like to mount antlers and bones I’ve found and sketch animals around them,” she says. Photo by Lorne Bridgman. Jennifer and Mattias Segerholt selected a deeply saturated blue hue color for the playroom wall inside their Portland, Oregon, home. All the interior walls are painted with matched hues from Le Corbusier’s Polychromie Architecturale, a book that the pair pored over for months. Photo by John Clark. In this classic mid-century modern home in Lakewood, Washington, Ikea cabinets were combined with durable work surfaces and personal touches like a chalkboard wall. Decopour flooring, a cement topping similar to terrazzo, is a very durable, family friendly surface. Kitchen, dining and outdoor space flow around a 12-foot long island—nicknamed "the mother of all islands" by the residents.